Active Climbing is Augusta’s first indoor climbing gym, and one of the best in the region. We are dedicated to bouldering, indoor rock climbing, fitness, birthday parties, and much more! 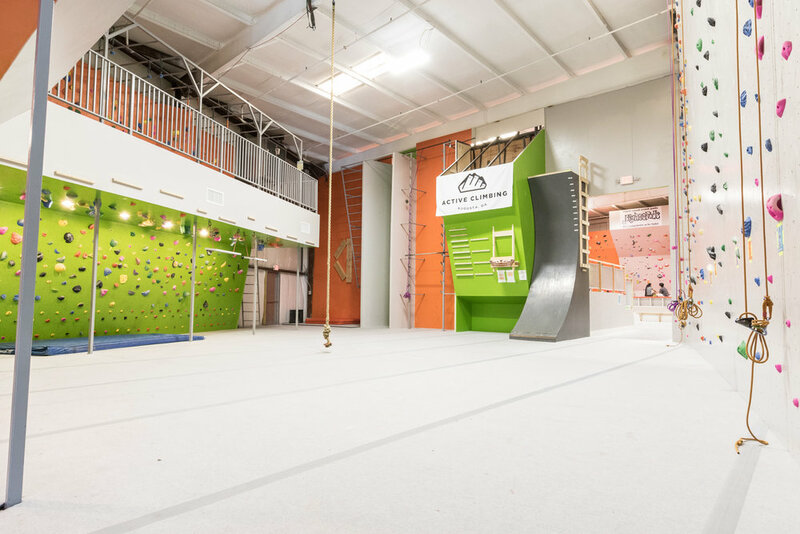 The new space includes a full offering of indoor climbing options. Our bouldering room has 16 competition style sections on an elevated stage. Just wait till you see the big roof and “The Twins.” The main rope climbing section, lovingly called “The Ship”, is 30 ft tall and over 100 ft long. In total, there are 30 top-rope lines and 9 lead climbing lines available. We have a route for you no matter what your climbing experience is. Stacked inside the ninja training center are some very popular obstacles including the salmon ladder, jumping spider, cliff hanger, and the warped wall. Come see how you stack up against other ninjas and see if you have what it takes. We are a product of our community. Our climbers are some of the friendliest people in town with a lot of climbing knowledge to boot! Climbing can be intimidating, but it’s a lot easier when you have some good friends to cheer you on!